Since I have been serving in full-time church-related ministry since 1980 I have been through various stages of growth and development in ministry and character. Based on self-reflections and observations from years of ministering to and with pastors and leaders in the church, I have written the following article on some of the specific sins and temptations most of us go through, based on our age and level of experience. Young leaders tend to focus more on their gifts, abilities and accomplishments because they are still trying to find their way. They have great vision, passion and ambition to accomplish great things for God. While in this stage they have a lot of energy, are very mission minded, and want to take the world for Christ! While all of the above is very good, it can also be harmful if young leaders are not being mentored by older, wiser, more experienced leaders. One of the sins of young leaders is presumption: They run ahead of God because they have zeal without knowledge (Romans 10:2). They can tend to build the foundation of their lives more on their gifting and anointing instead of character development. This can give them short-term success but failure in the long run when they can’t handle the pressure that a lot of responsibility and constant crisis management brings. Thus, their great temptation is to move forward with grandiose ministerial plans without the proper counsel or hearing from the Lord. Another temptation is for young leaders to build their ministries upon their gifts rather than on godly character, as well as focusing only on their immediate accomplishments without understanding long-term ramifications. Other young leaders, especially many of the ones emerging today that are more left-brain driven (the creative class that is driving the entrepreneurial economy), also face a great temptation of jumping from church to church and/or not even being committed to the local church because, as “free spirits” they have an individualistic mindset and have no concept of expressing their vision, purpose and gifts through a corporate body. I have known many talented young leaders over the past several decades who never maximized their purpose because they never stayed planted in a local church. Thus they wasted their great gifts and spent years being frustrated trying to fulfill their vision with much wasted energy, even as a dog exerts a lot of energy chasing its tail. Corporately, young churches can also go through the same initial phase in their development by focusing more on doing for God rather than hearing from God and then doing for God. This can lead them into all sorts of trouble because of the sin of presumption, which is often driven by ungodly ambition and competition with other churches in the region. The key for all of us is to never be lacking in the zeal and passion we had in our youth while at the same time going through the process of much prayer, fasting and hearing from God before we attempt huge, time-consuming, debt-producing projects. Middle-aged leaders who have had some success in their youth have the advantage of hindsight and the experience that comes from age. They can have a very balanced approach to life and ministry. 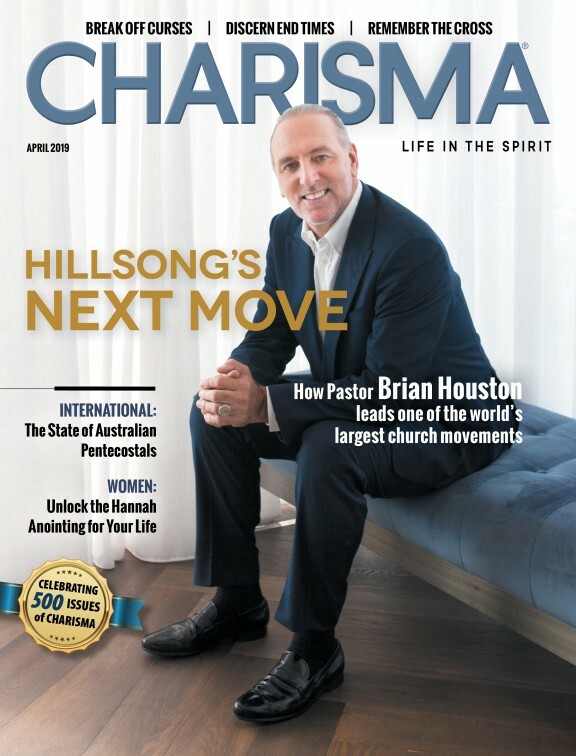 On the other hand, I have observed middle-aged leaders who have had some semblance of success in life and ministry and, as a result, the financial affluence they have accumulated and/or progressed to often leads to the sins of complacency and narcissism with their primary focus going from accomplishments to resting on their laurels. They say to themselves that they have already paid the price and worked hard for many years in the ministry. Thus, it is now “their time” to take for themselves; they have given out their whole Christian lives to others; now it is time for them to enjoy life, take a lot of time off for themselves, and put their ministry on cruise control. Let other people work hard in the ministry, they think, because they have already paid the price. Because of their seniority they believe they deserve a high place in the church because they were faithful, sort of like having a union mentality. Thus, their sins are narcissism and indifference as they emotionally detach themselves from the Great Commission of Christ and enjoy the fruits of their labor because they have enough money coming in for them to coast. Corporately, churches can also go from being outreach and mission focused in their beginning stages to becoming more and more self-focused as their priorities change with an aging leadership base. Old leaders should be at peace with themselves, walking in the joy of the Lord as they shift from individual accomplishments to focusing on mentoring and releasing the next generation to do great things for God! Unfortunately, in my opinion, most leaders do not end well, with many of them becoming cynical and critical of others as a way of justifying that they have never fully pursued and accomplished the ministries that the Lord has given them to fulfill. Hence many older leaders are still immature emotionally as they are in competition with younger leaders in regards to proving themselves and accomplishing great things, instead of gracefully transitioning to the mentoring parenting stage of their lives. In this stage, instead of being in the front lines of the battle as generals they should be behind the scenes as the patriarchs of the move of God—counseling, discipling, shepherding, and encouraging the next generation of generals that have the energy, passion and calling to lead! Since many have not gracefully transitioned from the young to middle-age stage, with many middle-agers slacking off and enjoying their newfound affluence, they don’t realize until they are older that they never totally fulfilled the stewardship of the gospel they were entrusted with. Instead of repenting and facing the lost time of middle age they put everyone else down because they can’t face the pain of missing God! Because of this, I have never been able to invite some older leaders who have been in ministry many years. When I got to know them I detected much frustration, cynicism and a critical spirit because of hope deferred and many unresolved issues. Corporately older, more established churches should have a vision to give birth to other churches and become apostolic churches that edify and become a resource to smaller or younger churches who need a mother church to guide, protect and support them. Older churches that are self-centered and self-focused on survival are in danger of missing their greatest calling: reproducing other great churches and ministries.